Suzuki's range of fun bikes and ATVs will be on top of everyone's shopping list this Xmas with a variety of generous offers available between now and January 31. Suzuki’s range of fun bikes and ATVs will be on top of everyone’s shopping list this Xmas with a variety of generous offers available between now and January 31. All fun Bike and fun ATV customers will receive a FREE Factory graphics kit with every purchase of DR-Z70, JR80, DR-Z125 Small Wheel and Large Wheel variants, QuadSport Z50 and QuadSport Z90 making sure your child will be the envy of all others at the track. The big-on-fun and value-packed range is the perfect way for youngsters to get onto two or four wheels with safety and style. 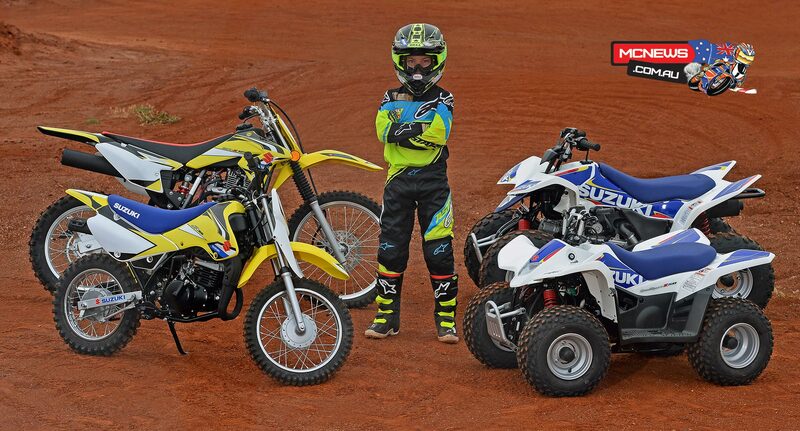 Featuring advanced technology including quiet and reliable two and four-stroke engines, electric starters, automatic transmission and variable speed limiters, is spread across Suzuki’s Fun Bikes and fun ATV models – all ready to give junior riders hours of fun. Suzuki’s two-wheel fun bike range will be available from just $1,990 Ride Away for the DR-Z70 and JR80 and four-wheel fun ATV range from just $2,290 Ride Away for the QuadSport Z50. Suzuki fun bike and ATV range represent sensational value, participating dealerships are taking pre-orders now so hurry and secure yours today as stock is selling fast! For further information on Suzuki’s Fun Bike & ATV range, interested customers should visit their local Suzuki dealer, who can be found through the Dealer Locator on www.suzukimotorcycles.com.au. *From participating dealers, while stocks last. Offer ends January 31, 2016.